If your body naturally smells good. Congratulations! you are very fortunate. But not everyone is that lucky. Sweating and smelling bad while heading out for the daily routine is annoying. Not only smelling good lifts up your mood but also keeps you fresh and motivated. Monsoons are here, and the weather has got humid leading to more perspiration hence more unpleasant smell. This post will be mentioning all the obvious points which we chose to ignore in our daily life and all the unknown points which we have to inculcate in our habits from today. After office, school or college, we should take a shower not only for personal hygiene but for the freshness and rejuvenation. All the tiredness vanishes after the first splash of water. We travel in public transport, use public washrooms no matter how clean they appear we are carrying millions of germs on our body. And with us perspiring they feed on the sweat residue, emitting acrid smell. Along with your shower gel, you can use citric acid in the form of orange/lime juice. Besides being an extremely good source of vitamin C, it protects from infections and body odor. The acids wash out dead cells and germs. These regions include your underarms, groin area, head and feet. These are the areas that start smelling first. So it is a good practice to wash them daily twice. Personally my underarm area sweats a lot. If I am in a hurry or walk a lot, I start sweating instantly. It feels extremely good the day I am wearing loose fitted or cotton clothes. Some people sweat like they are completely drenched in water. For them it is good they were sweat absorbing inner and use wipes for cleaning their outer skin. Head wash is not possible daily so let your hair breathe by letting it loose and use hair serum which maintains the good scent in your hair. Heat is what activates a scent. Pulse points like wrist, neck, behind your ears, back of your legs and elbows are the areas where the skin is very thin and absorb the perfume more efficiently and stay longer. The perfume concentration in Eau de parfum is up to 15- 20 % this is what I prefer just one spray on my clothes & underarms- my work is done! It stays for more than 12 hrs. This way my clothes also stay fresh and you are not having direct contact with any cosmetic. Do not rub the perfume, just pat them after application. Fragrances in a scent can get altered with rise in heat. It is not just for the storage purpose but also for when you are wearing them. too much heat can change how they actually smell. 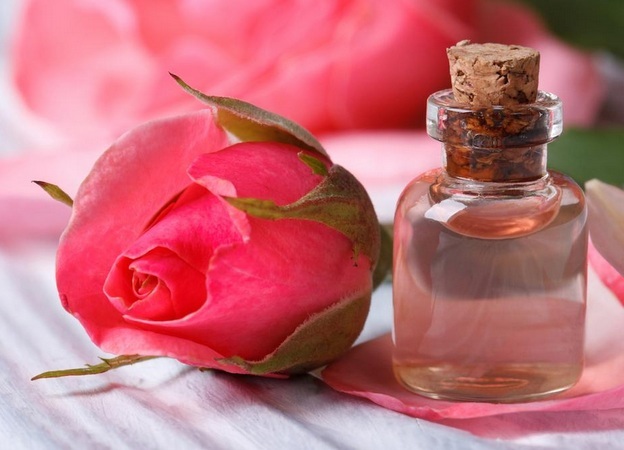 Fragrances naturally change over the day's span depending upon the humidity and temperature due to evaporation of the alcohol content followed by evaporation of the fragrance notes. If you prefer mild fragrances, this one might help you as the scent fades over the period of time and faintly scenting your hair can really boost up your fragrance. Hair keeps the scent longer than our skin and whenever you walk you carry your scent around. Spray it on your hair brush, avoid the roots and just comb your the length of your hair. As they absorb sweat easily and let the air sweep in to evaporate whatever portion of that sweat is left. I also understand it is not possible to wear only loose fitted or cotton clothes everyday but yes we can choose wisely depending on our schedule and the weather outside. Most basic but most neglected point! With adequate hydration, your sweat is not that much concentrated, body flushes out toxins and waste through other means like urination. After bathing. applying powder to your armpits really helps those who start sweating while bathing itself. It closes the pores and it readily absorbs the first layer of sweat. It does not allow the smell to spread because of it own soothing fragrance. I got one small bottle for myself from vrindavan and it is truly amazing. Just 2-3 drops on my shoulders and neck. Applying it on the pulse points helps you stay fresh and smell naturally good for hours. I can bet on this! Do you know that a perfume stays longer on oily skin? Poor dry skin people- you got skin that's dry and now your fragrance also does not last long. Oil based perfumes last longer than alcohol based perfumes. What you can do is - use vaseline, coconut oil or any of your body lotion first and then apply your perfume or deodorant because that way it stays longer. Spray cotton swabs with your perfume and hide them in air tight zipper bags or small glass bottles inside your handbag for quick touch ups throughout the day. You won't be overdoing anything but still smelling fresh like a flower. Sometimes protecting your clothes with naphthalene balls can be a headache. Instead use scented soap like fiama de wills in a tissue paper inside your almirah to add good scent to your clothes and also protect them from bugs. Place tissue papers with scent sprayed on them in drawers to keep your stuff smelling amazing. The ingredients will start evaporating and your clothes will gradually take up the fragrance. With the result, your closet will remain scented forever. Spray little bit of cologne on your bedsheets and blankets. Long kept blankets in the summer season can develop the odd smell. it is better to use a de-odoriser first and then spray some mild perfume over them to keep you aromatic and fragrant all night. You and your partner will feel cozy and happy. 16. KEEP SMALL PERFUME BALLS IN UNDERWEAR AND SOCKS DRAWER. These garments undergo most of the pain and still are under-cared. For those whose emit unbearable pungent smell as soon as they take off their shoes this is the remedy. You can also use talcum powder on the sole of your shoes. Febrez is basically a de-odoriser which eliminates any foul smell be it in the home air or your fabrics. If bad breath haunts you, keep fennel seeds (saunf in hindi) and chewing gums handy. Consult your dentist for plaque removal and maintain a habit of brushing twice a day. Please share your feedback if these hacks were useful for you? Any specific problems you want a post on? Like this post? Don't forget to share it!